In this year of 2018, I bought this makeup coffret, Amplitude kit, it was a little bit difficult to get, and could not let you know that. 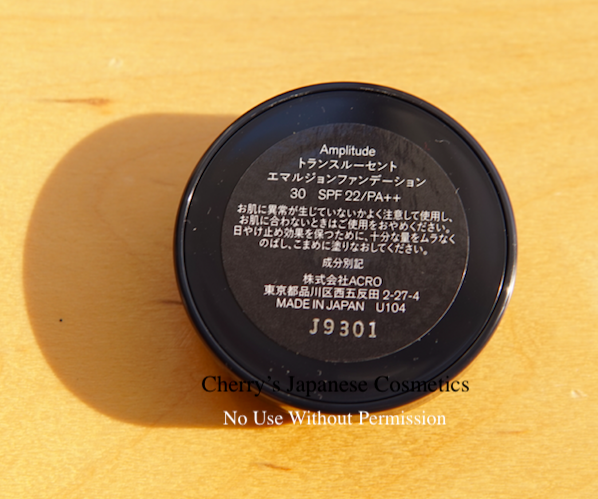 In this time, I wanna talk about Translucent Foundation. The shade is #30. Their standard shades are #30 and #20, and #20 is lighter, and #30 is darker. 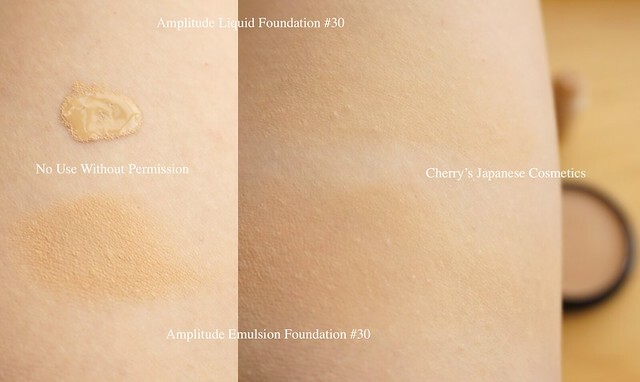 Fortunately I got a sample of Amplitude Liquid Foundation #30, guess you wanna see the swatch. Guess the Emulsion side is a little bit darker, but it can be the layer and problem of which is easy to spread. In my eyes, they are quite similar shades each other. It tends that these emulsion foundations are heavier layer than liquid foundations, that’s all. 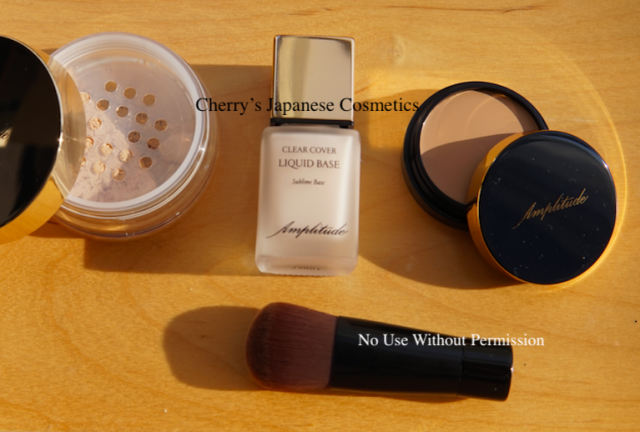 They say the coverage is different, and Emulsion is less coverage and more natural, but I had thought that on my face I felt both are also less coverage, and natural finish without artificial shining effect. I thought they are not bad. On the point of lasting, this Emulsion is good lasting, more than expected! I walked for more than 1 hour, to ship and buy for you, after I returned, I was looked like a person who were just left from sauna :D. No joke, not just showered, but sauna. I saw a mirror, and my foundation was fine. 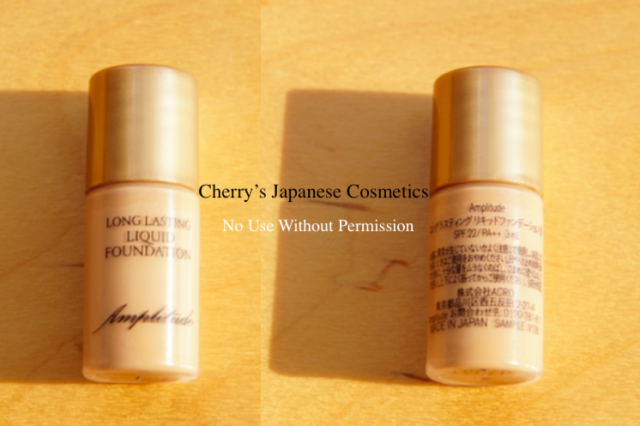 And the liquid foundation, it is also really great, the “Long Lasting” is not over naming. This Amplitude products are QUITE similar with RMK products, but as I know, on the point of lasting this Amplitude is fantastic!